Our Team - Neil A. Patterson M.D. P.A. - NEIL A. PATTERSON M.D. P.A. Meet the Friendly Staff at Neil A. Patterson M.D. P.A. Originally from Frankfort, Illinois, Dr. Patterson attended the University of Illinois Medical School, graduating in 1988. He interned in Emergency Medicine at Orlando Regional Medical Center and completed a 3 year Family Practice Residency at Florida Hospital. Following residency, he practiced acute medicine for 3 years prior to opening his private practice in 1995. He has been board certified in Family Medicine by the American Board of Family Medicine since 1997. He is a member and fellow of the American Academy of Family Physicians, as well as a member of the Florida Academy of Family Physicians and the Florida Medical Association. ​ Dr. Patterson was also Medical Director of Alpha Medical Research overseeing pharmaceutical studies that resulted in the release of Eliquis and Uloric to the market. He was a long-standing volunteer physician with the Oviedo branch of Shepherd&apos;s Hope Community Health Clinic until it’s close in 2012, earning Volunteer of the Year in 2011. In 1994 he served as Assistant Medical Director for World Cup Orlando. Dr. Patterson’s approach to patient care was greatly shaped by his personal experience as a patient diagnosed with Osteogenic Sarcoma, a form of bone cancer, during his 2nd year of medical school. He understands the frustration of migrating through the medical maze and the difficulty patients and families experience when faced with tough medical decisions. He strongly feels managing our patients to minimize these issues is a major goal for our practice. Dr. Patterson along with his wife, Milana (our office administrator) and son, Christopher (Girls basketball coach at Boone High School) have resided in Oviedo since l989. In their spare time they like to travel and are avid sports enthusiasts. Dr. Warrington became a member of our clinical staff in 2014. Originally from New York state and following an honorable discharge from the U.S. Army, Bill attended Mt. San Jacinto College earning his Associates of Nursing degree in 1990. Since that time he has earned his BSN in 1993 and MSN in Nursing Administration in 2002. Following this he completed a PhD in Nursing Science and Physiology (2008 through the University of Florida).In 2014 he accomplished his Board Certification as a Family Medicine Nurse Practitioner from Georgetown University. His hospital nursing experience includes stints in the ICU from 1990 - 2002 followed by 9 years in Florida Hospitals&apos;s cardiac catheterization laboratories. Other experience includes 5 years as a Nurse Scientist with the Center for Nursing Research where he served as co-investigator in numerous research studies and co-authored peer-reviewed publications. He currently serves as the Director for South University&apos;s Nurse Practitioner program. Dr. Warrington is a member of numerous professional nursing associations including Sigma Theta Tau International and the American Academy of Nurse Practitioners. ​Ms. 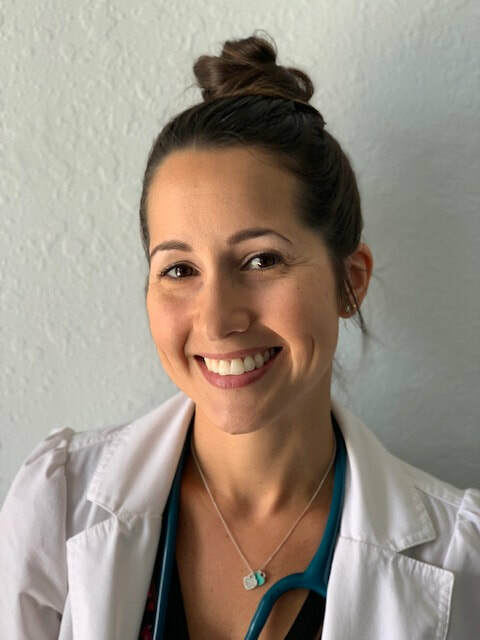 Wimmer became part of our practice in 2016 after earning her Master of Science/Nursing degree from the University of Central Florida in 2014 after which she was an Advanced Registered Nurse Practitioner with the Children’s Home Society of Florida. Prior to this she obtained her Bachelor’s degree in Nursing in 2009, also from UCF. Her nursing years were spent in the Neonatal Intensive Care Unit at Winnie Palmer Hospital. She is a member of the American Academy of Nurse Practitioners and a member of the Golden Key National Honor Society. She resides with her husband and twin daughters in East Orlando. Erica Volk joined our practice in 2017. Hailing from North Carolina, she earned her Bachelor of Science in Nursing degree at the University of Central Florida in 2009. She was employed by Orlando Health as a Registered Nurse serving as Charge Nurse on the Medical/Surgical/Trauma floor for over 2 years then as a Triage Nurse in the Level I Trauma Center in the Emergency Department for 5 years. During this time she completed her Master of Science in Nursing at South University/Savanna, GA, and became Board Certified as an Advanced Registered Nurse Practitioner in Family Medicine in 2016. She resides in Chuluota, FL.